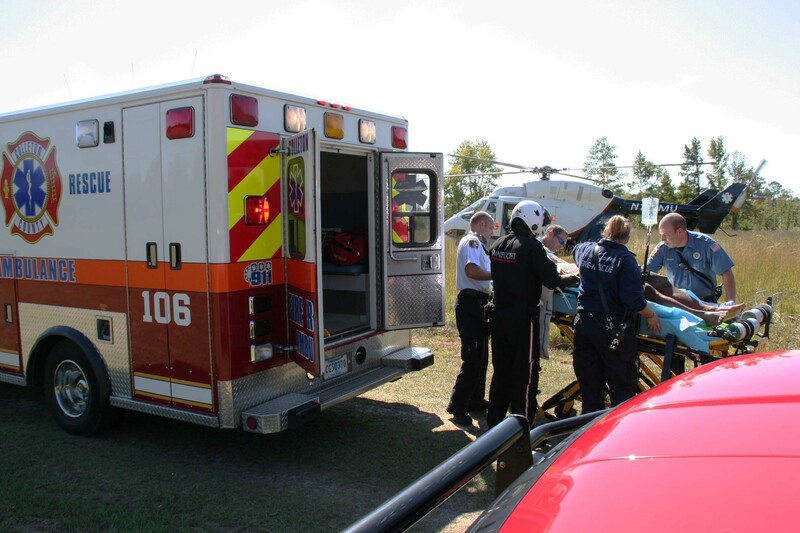 Click here to read the newest Toyota Prius Hybrid Vehicle Emergency Response Guide. Click here to view CCFR's newest video. Stations 1, 6, 12, 19 and 27 responded to a two car MVC with entrapment on Charleston Hwy at Featherbed Road at 05:37, Wednesday 28-October. The two vehicles collided in the intersection, causing a small car to travel into the Aimwell Presbyterian Church parking lot. The car received heavy damage to the driver’s side, trapping the driver. She received multiple, non-life threatening injuries. two occupants in the other vehicle received minor injuries. Click here for more information. Congratulations to Firefighter Josh Thomas and his wife Firefighter/Trainee Haley on the birth of their son Casey Logan, born on 10/18/2009 at 12:26 AM, weighing 6 lbs. 14 oz. and 20 inches long. Congratulations to Firefighter/EMT-Intermediate Scottie O'Quinn who has successfully completed the Engineer Examination Process and has been promoted to the rank of Engineer/EMT-Intermediate. Stations 1, 6, 12, 19 and 27 responded to a residential dwelling fire at 33 Bowman Lane at 0141, Saturday morning 17-October. Engine 12 arrived to find heavy smoke and flames extending from the “a/b” side of the singlewide mobile home. The resident advised he returned home to find the building on fire and notified 9-1-1. 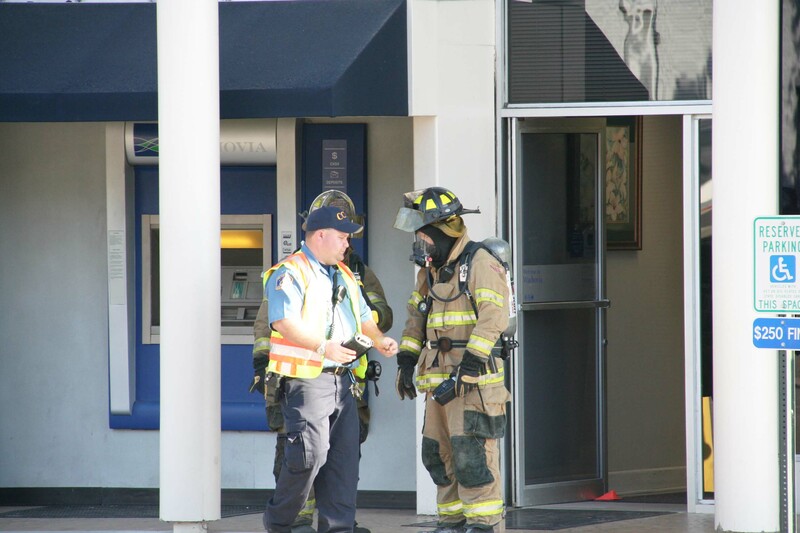 Firefighters deployed one 1-3/4 handline, entering the building through the front door, while exterior crews pulled the siding off the “b” side of the building. Click here for more info. Stations 1, 19 and 27 responded to an airplane crash landing at the Lowcountry Regional Airport near Walterboro at 16:16, Friday 16-October. The 1974 Cessna Model 177RG experienced problems with its landing gear while attempting to land. Firefighters were initially told none of the landing gear was operating on the plane. 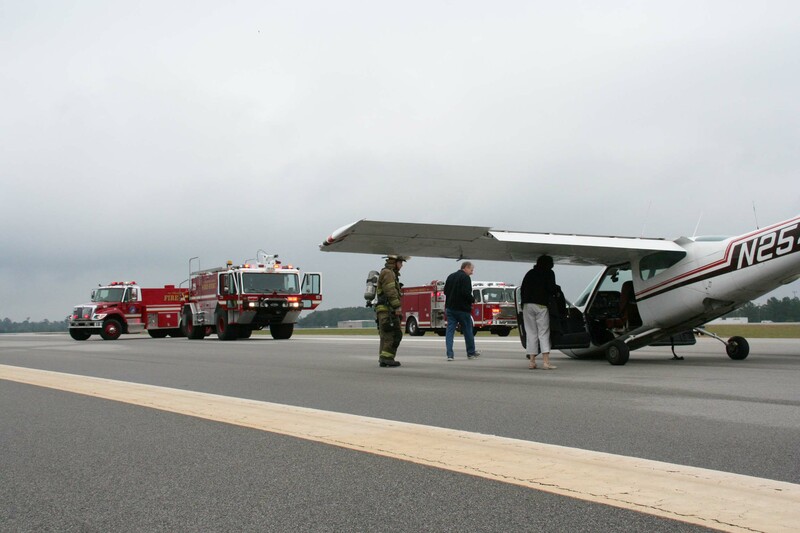 The pilot was able to get the rear wheels down, however the nose gear failed..... Click here for more info. At 1128, Tuesday morning 13-October, Station 6 responded to a man injured when a portion of a house fell, trapping the man. He and some companions were in the process of demolishing an old home, when the roof over the porch collapsed on the man. His coworkers were able to lift the roof off of the man and pull him to safety. He suffered multiple trauma injuries during the incident. Click here for more information. 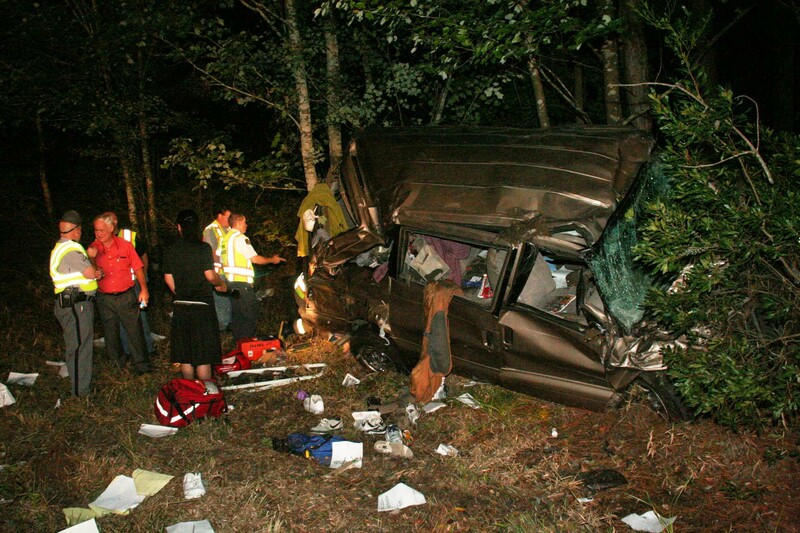 Stations 1, 9 and 19 responded to an over-turned van on I-95 at the 52 mile marker northbound, Sunday evening at 1933. The northbound Chevrolet Astro Van apparently left the roadway in the median at a high rate of speed, over-corrected and crossed both lanes of traffic. The van lost control and began flipping end over end multiple times before coming to rest in the woods on the right hand side. Click here for more information. 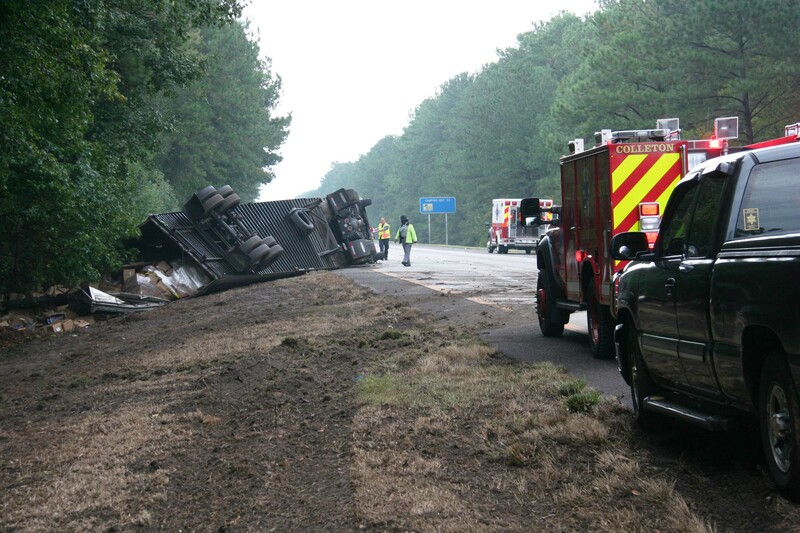 Stations 1 and 27 responded to an over-turned Tractor Trailer on I-95 at the 52 mile marker northbound, Saturday afternoon at 1539, 10-October. This was one of six MVCs that occurred Saturday during the brief downpour. The 57 year old Georgia man lost control of his tractor trailer causing it to overturned in the median. The trailer broke apart, spilling its load of lunch bags into the median. Click here for more information. 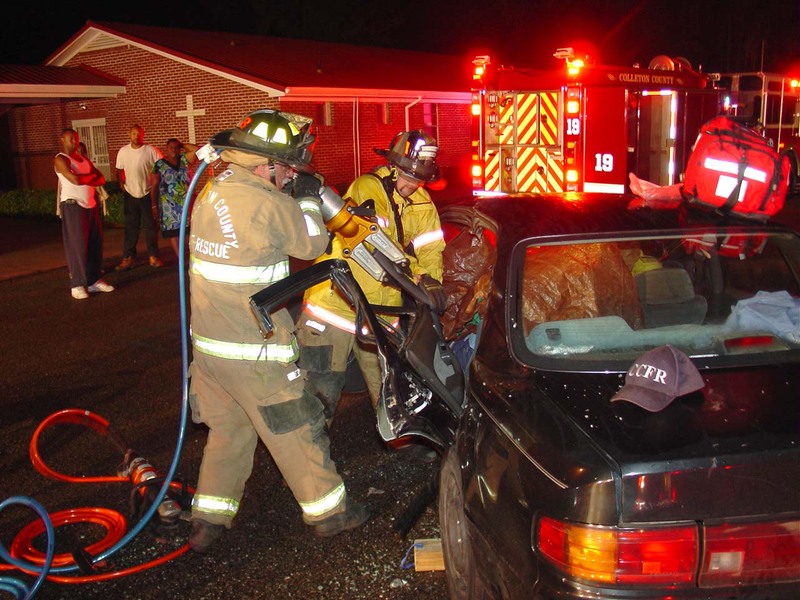 Colleton County Fire-Rescue will host the South Carolina Fire Academy Course 3330 - Automobile Extrication on December 12 & 13, 2009 from 0800-1700 at Station 19. Interested personnel should complete a South Carolina Fire Academy registration form and forward it to headquarters or the training division no later than November 26, 2009. 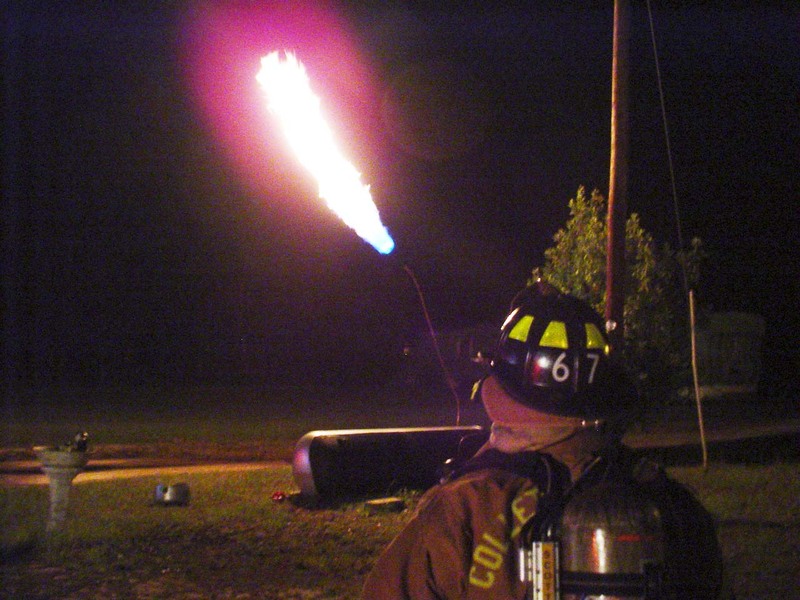 The City of Walterboro Public Safety Department is hosting a Natural Gas Emergencies class on Monday, October 12, 2009 at 18:00 hours at their Station 1 (behind City Hall). The class requires no pre-registration and should be 30 minutes to an hour long. Stations 1, 2 and 6 responded to a large residential LP gas tank leak at 1057 Magwood Bryant Road at 2055, Saturday 03-October. Engine 6 and Medic 6 arrived to find a LP Tank leaking product from the a hole in the bottom of the tank. A vapor cloud was visible in the yard with the homeowner standing in the cloud. Personnel directed the man to evacuate the area, while they deployed a 1-3/4 handline. Battalion 1 was requested for gas monitoring equipment. Click here for more information. 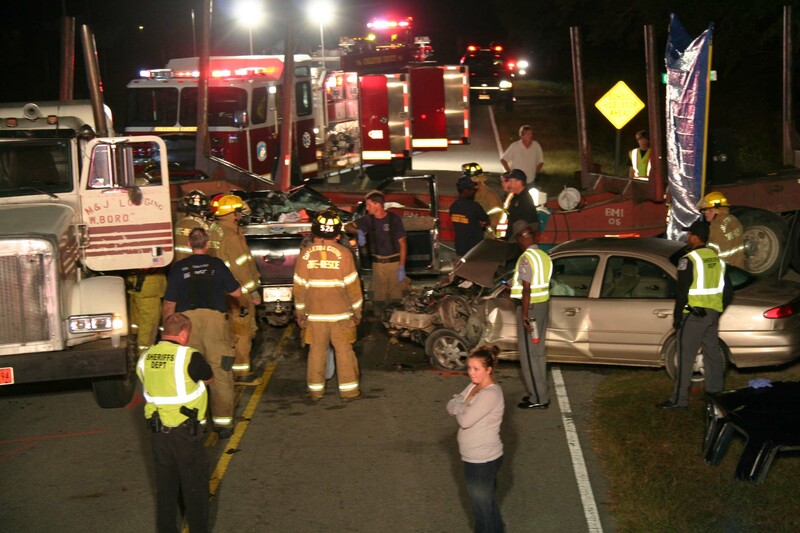 Stations 1, 5, 9, 19 and 27 responded to a fatal multi-vehicle MVC in the 18800 block of Augusta Highway (SC Hwy. 61) at Caterpillar Lane, Friday morning at 0031. The Highway Patrol is investigating the incident as two separate collisions. Shortly before 0030, an empty log truck was apparently attempting to back on to Caterpillar Lane from Augusta Hwy. Click here for more information. 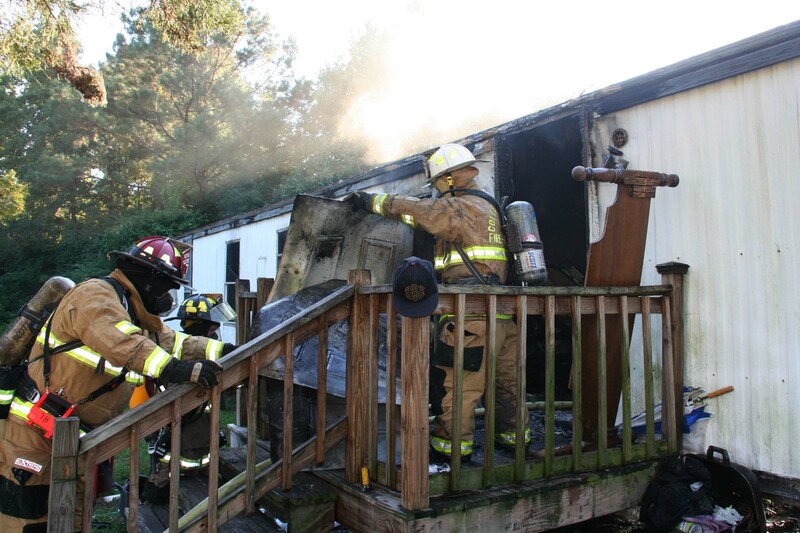 Stations 2, 6, 9, 12 and 21 responded to a singlewide mobile home fire at 134 Sparks Drive near the Jacksonboro Community, Thursday afternoon 1-October at 1720. A neighbor reported seeing smoke and flames coming from the structure. Initial reports indicated a woman and two children may be inside the burning building. 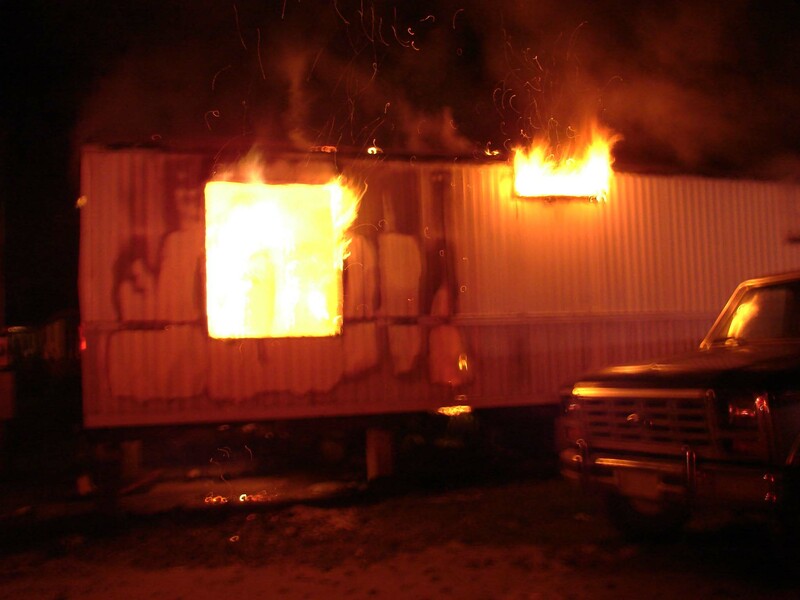 Engine 2 arrived within 4 minutes to find heavy smoke and flames coming from one end of the mobile home. Click here for more information. Colleton County Fire-Rescue is proud to announce it will carry the 28th Annual National Fallen Firefighters Foundation Memorial Weekend on October 2-4, 2009 live on this website. During this weekend, a grateful nation will honor 103 firefighters who died in the line of duty in 2008, and 19 from previous years. Click here for more information.